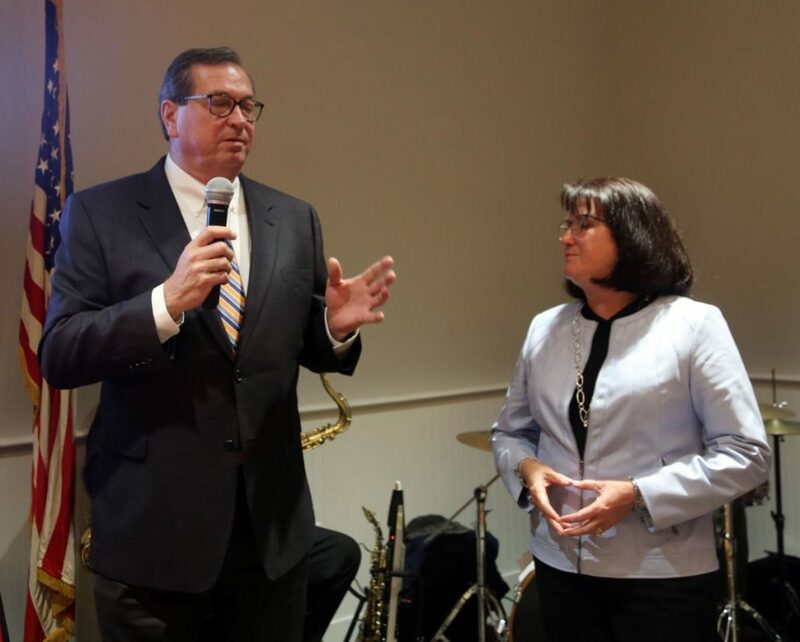 FLORENCE, S.C. – Dozens of business leaders and government officials gathered at the Greater Florence Chamber of Commerce on Tuesday evening for the Chairman’s Holiday Reception. The night was a chance for members of the chamber and other guests to meet the Chamber’s 2018-19 chairwoman, Mindy Taylor. Mike Miller, president of the Greater Florence Chamber of Commerce, said the idea came from Florence City Councilwoman Pat Gibson-Hye Moore. Gibson-Hye Moore said Taylor, who is district manager for government community relations for Duke Energy, had always been a helpful servant in the Florence community. Attendees were able to network and enjoy light refreshments in a “drop-in” setting. Taylor said she was excited about the progress and future of the chamber of commerce. Florence Mayor Stephen Wukela said that had also been helpful to him during his time in office.